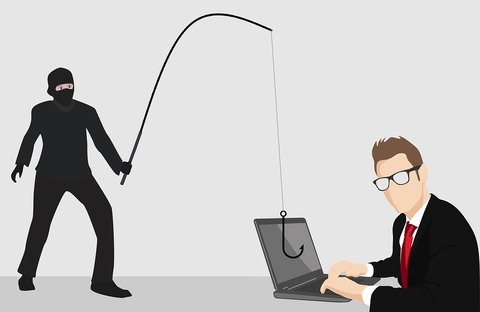 Home › Frugal Tips › EbooksPrime.com review - Legit or Scam Cheap Ebook Seller? EbooksPrime.com review - Legit or Scam Cheap Ebook Seller? The other day I was looking for a cheap and legal way to purchase an audiobook I could not find anywhere. That's when I came across Ebooksprime. I Immediately became a little suspicious because the audiobook collection was being sold for 10 times less than retail. That being said the site is quite nice for a scam site. So it was time to do some digging and share my findings with you guys. So is Ebookprime legit? Well, it's complicated. Read Living Cheaply's complete review of this ebook seller and decide for yourself. Ebooksprime.com is an online eBook and Audio Books seller. Their users can find and purchase best-selling eBooks and Audio Books as you can with similar sites. However, what makes them quite unique is they sell these ebooks and audio books at deeply discounted rates. Also, they provide instant delivery after you make a purchase. They do this by sending you an email with a link to a Google Drive page to download. Another option to access your purchases is by logging in and going to your account page. There you will find links to downloads for your previous purchases as well. Is Ebooks Prime Legit Or A Scam? Ebooks Prime is a legit site in the sense they do indeed send you the ebook or audiobook instantly after your purchase. But it's unlikely they have the legal right to do so. Not only is their price insanely cheap but their method of distribution is also very odd as well. For example, if you purchase an audiobook from them they will deliver it to you via a Google Drive link that they send to your email. Unheard of for a legitimate seller to distribute media this way. Another strange thing about this site is the site information is hidden behind a privacy service. For a blog like this one that never takes information from its users that is perfectly normal. For a site that you purchase products from, on the other hand, this is very odd. To top things off they don't take Paypal. For that matter, they do not even provide info on who is processing your payment method. Someone is seemly going over and beyond to hide who they are. This site is likely a new version of the old Russian type sites that would sell pirated songs and other media at drastic discounts. If you do not have a problem with piracy this may not be an issue for you. But if you do you may want to avoid this seller. Are Ebooks Prime Books Worth It? Many of their books are 10x less than what you would pay for them elsewhere. So in that sense they certainly are. But again if they are indeed pirated then they are really worth nothing. So in that sense, they certainly are not. Wow, this was a hard one given they do indeed deliver what you purchase. Also, we have no reports of them stealing customers identity, credit card information or anything like that. So for those reasons, I would have to say they are not a scam for now. However, it's important to remember this site is only 259 days old at the time of this review. As with any new site they could fold up and be gone tomorrow with no warning. In the case you are relying on logging into your account to access your purchases, this could be a big issue. Lastly, it's important to keep in mind they are likely selling pirated products that they have not right to. Whos to say they won't sell someones personal info they have not right to down the road as well. 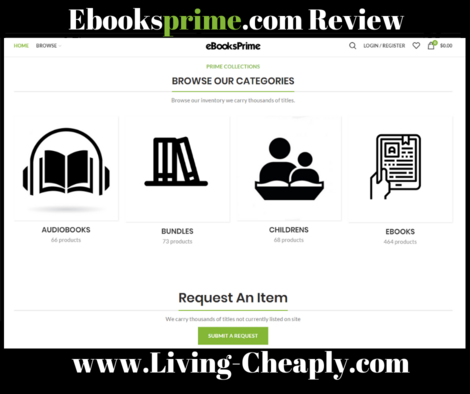 Living Cheaply would love to hear about your experience with Ebooks Prime in the comments below. Have you purchased any ebooks or audiobooks from this site in the past? Do you feel like Ebooksprime.com is legit? Please let us know, we would love to hear feedback on this site!